Here at AllFloors of Oxfordshire we believe every home refurbishment should have a touch of quality, and with our large selection or floor coverings and our professional floor laying specialists, this is something we feel we can deliver time and time again. So why not call into our large showroom in Witney where you will be able to view many different samples of flooring and get a real feel for what best suits you and your home? Choose samples to take away and view in the natural light and colours of your home, and then when you’re completely satisfied with your choice why not arrange a free no obligation quotation with one of our surveyors. The surveyor will come to your home and take accurate measurements; this also ensures that we can fully understand all aspects of the job, therefore eliminating the chance of hidden costs at a later stage. 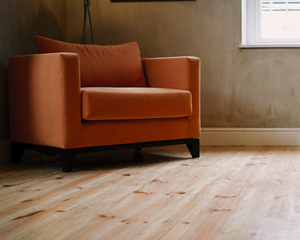 From wood flooring to vinyl and carpets, contact AllFloors of Oxfordshire! ​Here at AllFloors of Oxfordshire we have years of experience in advising our customers of the correct choice of flooring for them. Having completed thousands of flooring designs and schemes, we are able to advise you on the best choice of colours, textures and finishes. So when you need high quality wooden flooring in the Oxfordshire area, make sure you get in touch with the experts at AllFloors of Oxfordshire. Call us on the telephone number listed at the bottom of this page to see what we can do for you.